The two surest signs that spring has arrive in the Land of Logan are the opening of the LCHS FFA Greenhouse and the arrival of the Spring Market presented by the Tangled Trunk. The greenhouse opened last weekend. 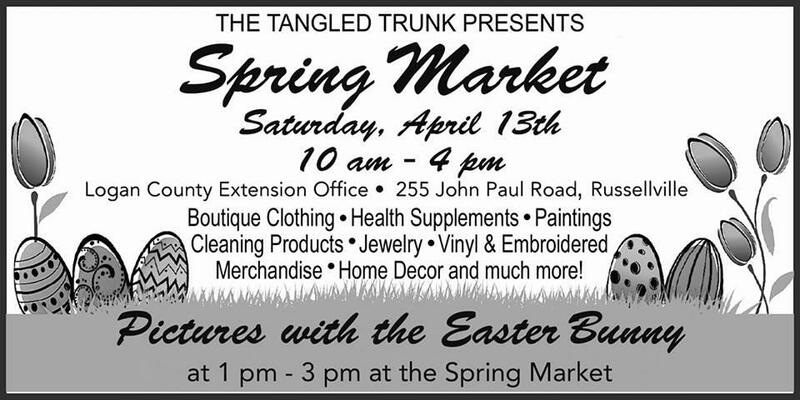 The Spring Market is this Saturday at the Logan County Extension Office. The Spring Market is the fraternal twin of the Mistletoe Market, which is also a production of Marcia Miller Kie and her Tangled Truck. The Mistletoe Market ushers in the holiday center in early November. The Spring Market announces loudly that Spring Has Sprung. This is the sixth year for the market, which has over 60 vendors scheduled to display and sell their wares in the Extension Office, the Ag Complex which is best known as the Farmers’ Market, and in the outdoor space in between. Vendors provide a mix of crafts people who create the items they sell and of vendors of well-known franchised brands. The Spring Market runs from 10 a.m. to 4 p.m. Saturday. Admission is free, although shoppers are encouraged to bring items to donate to the Logan County Animal Shelter. 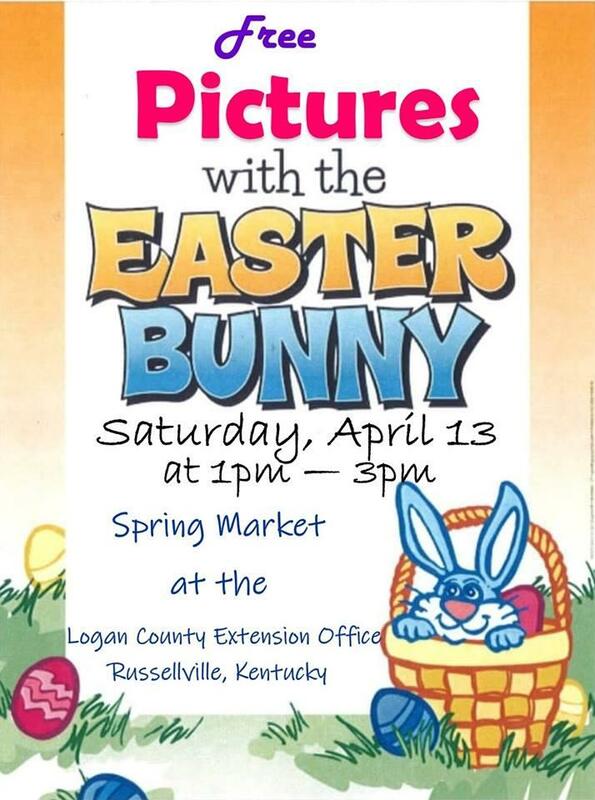 The Easter Bunny will not only be present from noon-3 p.m. but also will be available for free pictures with children.